The individuals who have founded some of the most success tech companies are decidedly weird. Examine the founder of a truly innovative company and you’ll find a rebel without the usual regard for social customs. This begs the question, why? Why aren’t more “normal” people with refined social graces building tech companies that change the world? Why are only those on the periphery reaching great heights? If you ask tech investor Peter Thiel, the problem is a social environment that’s both powerful and destructive. Only individuals with traits reminiscent of Asperger’s Syndrome, which frees them from an attachment to social conventions, have the strength to create innovative businesses amid a culture that discourages daring entrepreneurship. An individual with Asperger’s Syndrome — a form of autism — has limited social skills, a willingness to obsess and an interest in systems. Those diagnosed with Asperger’s Syndrome tend to be unemployed or underemployed at rates that far exceed the general population. Fitting into the world is difficult. While full-blown Asperger’s Syndrome or autism hold back careers, a smaller dose of associated traits appears critical to hatching innovations that change the world. Baron-Cohen says the autistic are interested in what’s called first principles, fundamental rules used to inform their decisions. First principle-thinking happens to be a tactic Elon Musk, the innovative leader of Tesla and SpaceX, says has contributed to his success. To be great, you can’t think like everybody else, and you probably won’t fit in to the herd. As a child Musk was bullied and beaten so badly that as an adult he struggled to breathe through his nose and needed corrective surgery. John Doerr, a venture capitalist at Kleiner Perkins, who was an early investor in Google, Amazon and Netscape, has said that great entrepreneurs tend to have “absolutely no social life.” Great innovators, like those with Asperger’s, just don’t fit in. Facebook founder Mark Zuckerberg has been described as “a robot,” and having “a touch of the Asperger’s,” according to a former colleague. There are stories of a young Zuckerberg having awkward meetings, such as with Twitter’s co-founders. 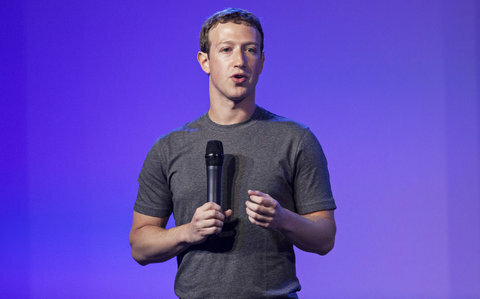 One of Facebook’s first investors, Reid Hoffman, has said his first impression of Zuckerberg was how quiet he was. Zuckerberg said maybe 15 or 20 sentences in an hour-long meeting. Zuckerberg’s willingness to defy social norms has paid off with an uncanny ability to position Facebook to thrive. It’s now worth $228 billion. In an era where tech companies and especially social networks can disappear as quickly as they rise (remember Friendster), Zuckerberg’s eye for innovation maintains Facebook’s relevance. He dared to spend over $25 billion acquiring companies without little or revenue — WhatsApp, Instagram and Oculus. When Zuckerberg spent $1 billion on Instagram, which had never made a cent, many saw it as a crazy move. Now by one estimate Instagram is now worth $35 billion. Zuckerberg’s willingness to be different and ignore social norms manifest itself in other ways. He wears a gray T-shirt every day, saying he wants to focus his decision-making energy on Facebook not fashion. “I just killed a pig and a goat,” he once posted on Facebook, during a year in which he spent a year only eating meat he killed with his own hands. Zuckerberg isn’t the only one to turn unusual instincts into tech riches. Four of the six PayPal co-founders built bombs in high school. “Think different,” happened to be Apple’s slogan, which its co-founder Steve Jobs embodied in his youth as he wandered India and experimented with LSD. At age 24 Jobs was invited to attend the initial meeting of the Seva Foundation, which is devoted to treating blindness. Unhappy with the discussion, an angry Jobs stood up — unfazed by a room of accomplished experts — and shared what they should do to make a difference in the world. (The anecdote was shared by Larry Brilliant in the new book Becoming Steve Jobs.) The conversation devolved into a “donnybrook,” so Brilliant asked his friend Jobs to quiet down. Soon Brilliant forced him to leave the meeting. Obsessiveness, another trait of those with Asperger’s, also pays off when building a tech company. Microsoft’s co-founders Bill Gates and Paul Allen were comfortable coding software for hours on end as young programmers. “Some of the more prudish people would say ‘Go home and take a shower.’ We were just hard-core, writing code,” as Gates told author Walter Isaacson in The Innovators. While Thiel has not said it outright, his theory could be interpreted as an explanation for Silicon Valley’s notorious gender gap. Asperger’s Syndrome is much more prevalent in boys than girls. But for Justine Cassell, associate vice provost for technology, strategy and impact at Carnegie Mellon, Thiel’s argument doesn’t hold up.